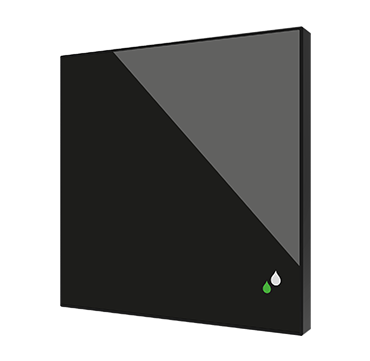 KNX Humidity and temperature sensor for flush mounting with a flat design. 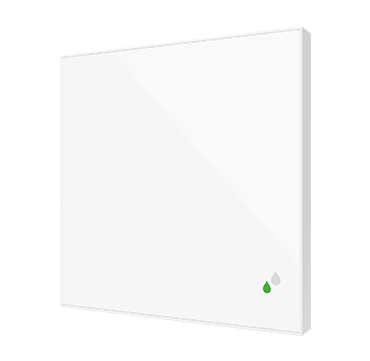 It measures ambient temperature, relative humidity and calculates dew-point, so that it can send alarms for humidity, temperature and condensation. The LED indicator shows the current relative humidity status. It includes 10 logical functions and 2 analog-digital inputs, which can be configured as binary inputs for sensors and potential-free push buttons, as temperature probe inputs or as motion sensor inputs. Available in standard colors (white, anthracite and silver). Accessories: Temperature probes and motion sensor.